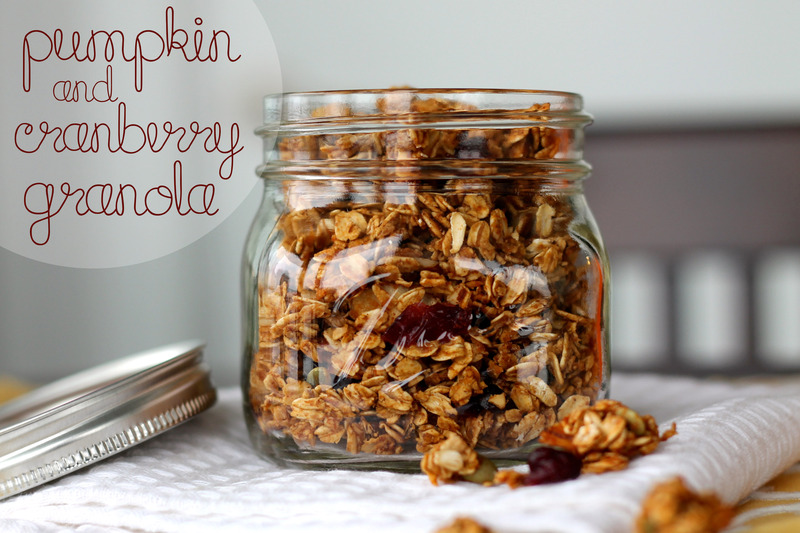 This Pumpkin and Cranberry Granola took over the May house for a few days. 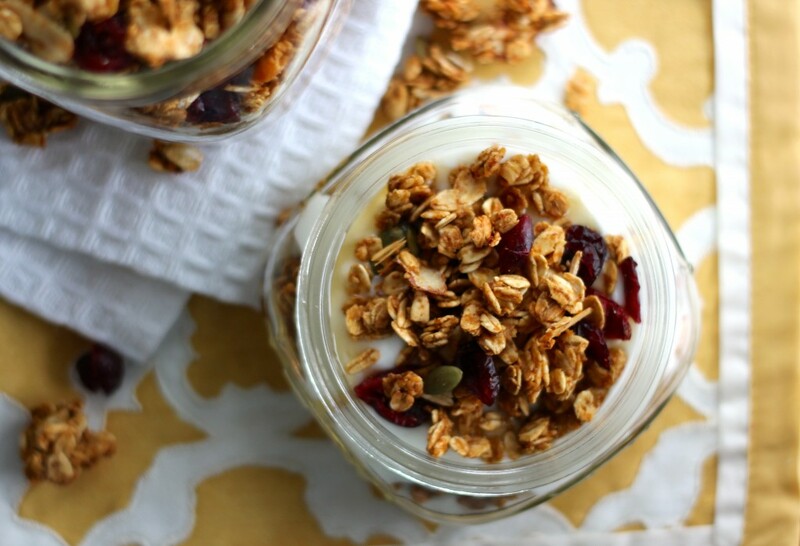 After all, yogurt parfaits are good just about any time of the day. Breakfast. Lunch. Dinner. Dessert. Snacks. Better yet, you don’t feel weighted down after eating it. Rather, you feel nourished and recharged. It’s perfect when you’re hungry but want to avoid the dreaded food coma. In a large bowl, combine oats, spices and salt. In a medium bowl, whisk together the brown sugar, pumpkin, applesauce, maple syrup and vanilla extract. 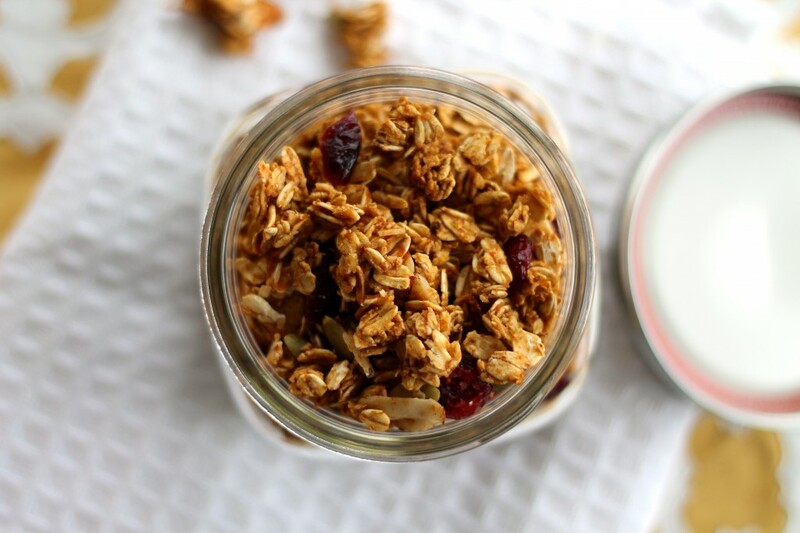 Pour the wet ingredients over the oats and stir until evenly coated. Spread the mixture onto a baking sheet lined with parchment paper. Bake for 20 minutes at 325°F. Stir the mixture and bake for an additional 20 minutes. Remove from oven and stir in nuts and cranberries.